A unique way of getting around San Francisco is riding the cable car: the world's last manually operated system, where double ended cars are pulled along by cables running underneath the street. 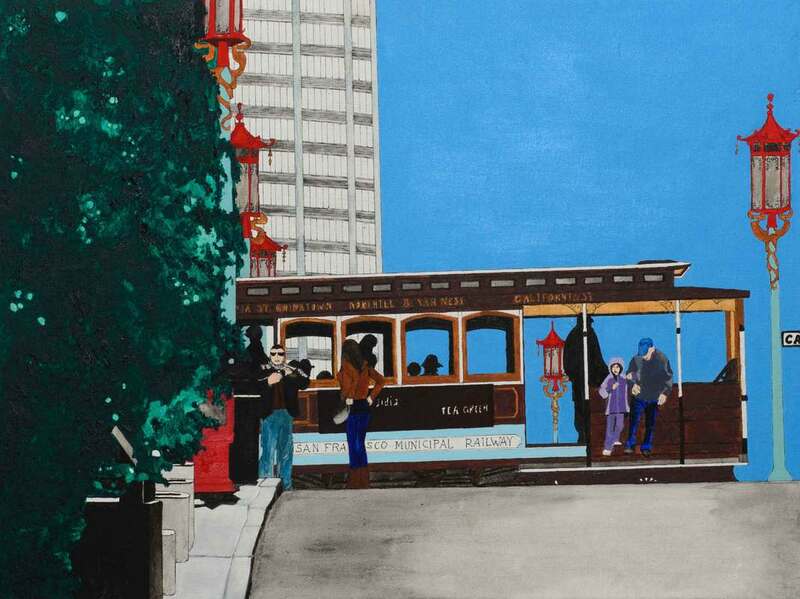 Thank you for your interest in buying the painting "Cable Car." As soon as I receive this request, I will contact you to confirm order details and total amount of purchase.